How to Design, Implement, and Govern Value-based Healthcare Analytics? A healthcare data analytics platform can be defined as a single, interoperable system that uses retrospective data to produce business intelligence reports that quantify enterprise-level financial and operational performance, as well as, disparate clinical data to enable predictive, real-time reporting of patient outcomes against every episode of care delivered. This study defines and describes the US healthcare data analytics market. It covers factors driving the need to adopt healthcare data analytics technologies that identify care leakages, automate patient-risk assessment, facilitate targeted intervention, support proactive member outreach, and benchmark enterprise-level clinical, financial, and operational utilizations. Healthcare analytics is widely regarded as a key enabler of value-based care. Robust usage of this technology allows health systems to practice data-driven decision making, which improves operational efficiencies, eliminates preventable costs, and streamlines clinical effectiveness. However, analytics adoption among US healthcare payers and providers is not consistent; healthcare organizations embrace a diverse array of deployment strategies that demonstrate different implementation maturity levels. For example, some health systems might utilize advanced enterprise data processing architecture to derive patient-specific insights for every episode of care, whereas others still rely on basic reporting capabilities of legacy Business Intelligence (BI) tools. This year, the cumulative maturity of the US analytics market is likely to be streamlined, mainly due to timely intervention from CMS. In late 2016, CMS launched the final rules for bundled payment programs, bringing great joy to analytics vendors that now anticipate higher traction from payers and providers. On the contrary, the end-user segment is still apprehensive about the feasibility of this new rule, which mandates that US providers in some regions accept financial accountability for the quality and cost of every episode of cardiac and orthopedic care. The scope of the new rule combines all patients being treated and all patients during the 90-day post-discharge phase; thus, encouraging effective care coordination between acute care hospitals, physician practices, and post acute-care providers. Providers managing to demonstrate episodic cost utilization below the CMS benchmark are likely to be incentivized and others are likely to be penalized. 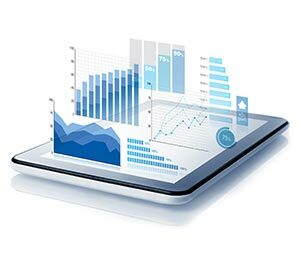 Regardless of this initiative’s longevity amid political intervention and provider outburst, in 2017, healthcare organizations are likely to accelerate adoption of best-in-class analytics solutions, mainly for quality reporting, which is an integral component of value-based care and population health management. Providers are most receptive to using analytics solutions to identify, assess, and benchmark cost trends by payer, patient, and physician mix, whereas payers are likely to opt for these solutions to identify quality-adjusted target prices for every episode of care.